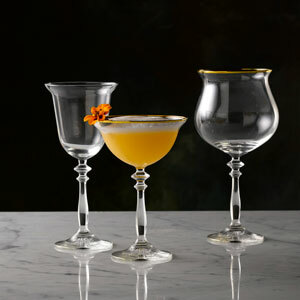 With a tulip shaped bowl and unusual stem design these Vintage 1924 Gold Banded Gin Goblets are as unique as your cocktail creations. 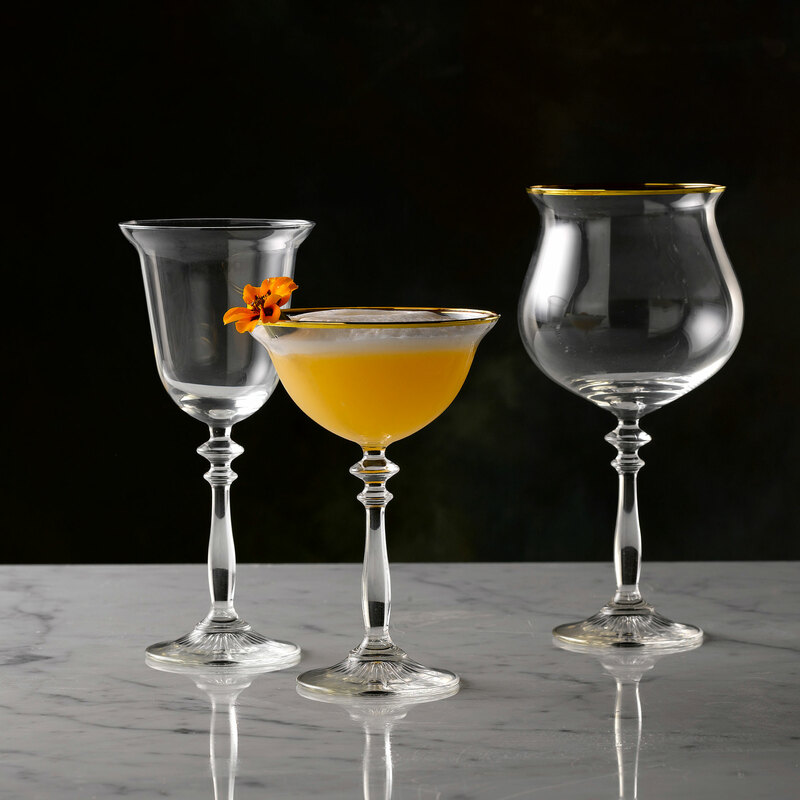 Their gold rim is perfect for adding creativity, drama and a retro inspired aesthetic to glassware collections and drink presentation methods. 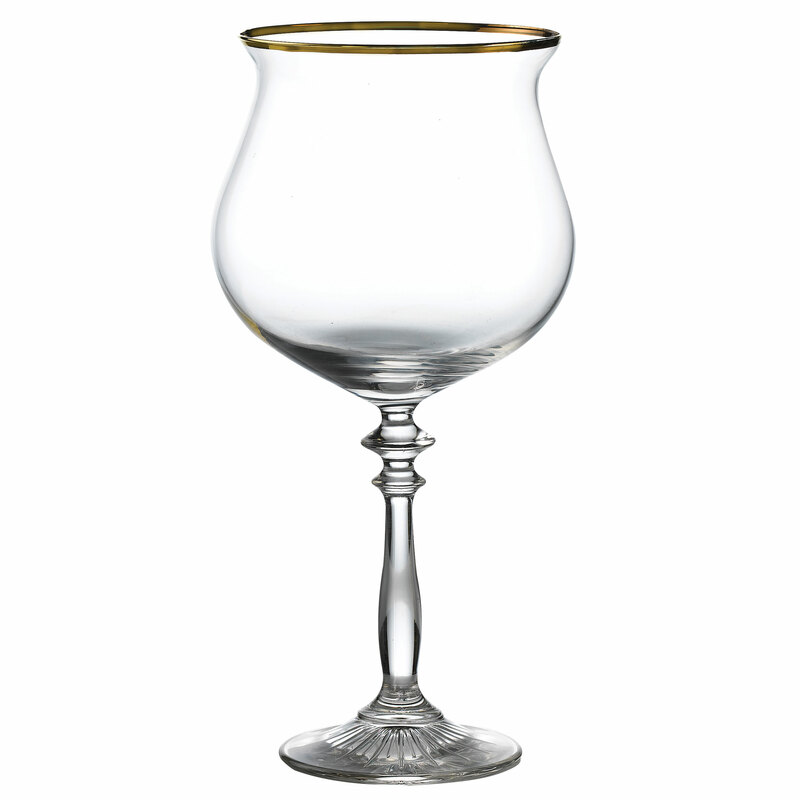 Made from soda lime glass they offer a durable construction and as a result are perfect for use in both domestic and commercial bars.